This stunning pendant is double sided with a layer of turquoise chips embedded in acrylic between the two cut out sterling silver panels. The pendant is large, measuring 2-1/2" long including the bale and is 1-3/4" wide. The bale is marked at the outside top with an eagle with the number 3 inside - which marks this piece to be from Taxco, Mexico. Inside the bale it is marked "MEXICO" as well as "STERLING .925 TAXCO" in a circle with the initials RCA (the makers initials) inside the circle. This is a lovely, substantial pendant and will need a large chain or cord to match. 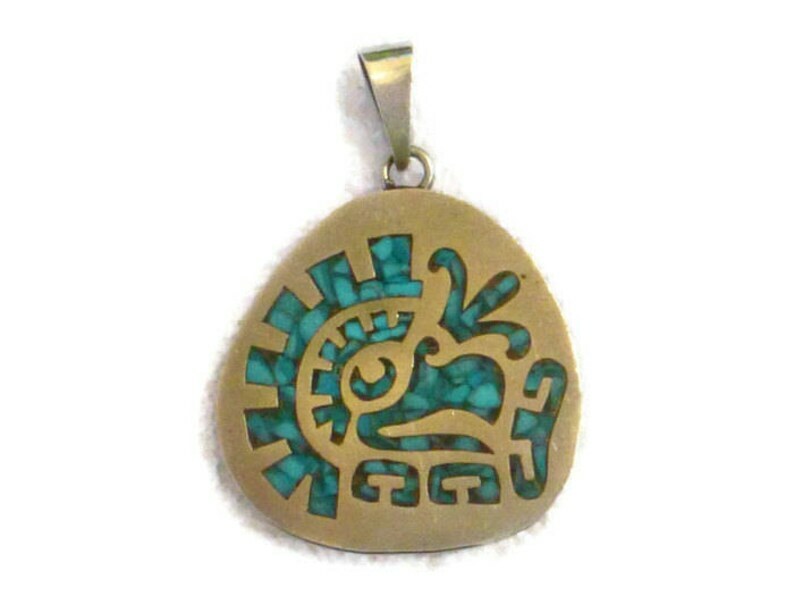 The pendant is in excellent condition.